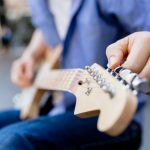 First time musicians will find some instruments easier to learn than others, so below are the top 10 best musical instruments for beginners. The guitar has become one of the most played instruments across the world. It is the instrument of the twentieth century and responsible for some of the most iconic songs ever recorded. 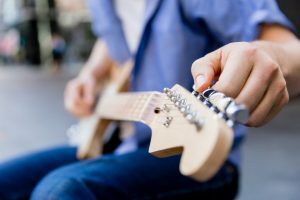 A guitar is often the first instrument for boys or girls, and the guitarist has the most coveted position in any band. It is not always easy to play the acoustic guitar, however, and it takes a lot of patience to play it well. An acoustic guitar can be played in a number of different styles, including folk, blues, rock or classical, and can be tuned in numerous ways, giving it a superb versatility that few other instruments can boast. For those who want to do things their own way, all you need to learn guitar is patience and a little guidance. With so many Youtube tutorial videos available it is very easy to pick up techniques and tips for playing acoustic well. For those not content with the simple tones of the acoustic guitar, the electric guitar is equally as iconic. As kids and teenagers, we’re often deluged with images of strutting ax-wielders soloing with one foot on the floor amp. It’s a difficult image to resist trying to emulate. As time has gone by, electric guitar techniques have constantly advanced. Those who, thirty years ago, were considered advanced players now sound fairly commonplace. As the internet has opened up the opportunity to guitarists the world over we’ve seen some extraordinary ideas develop over what is possible with the guitar. It is also, in some respects, a little easier to learn than good acoustic playing. It boasts a thinner neck which suits smaller hands, and it can be very easy to find visually pleasing electric guitars. However, there are physical drawbacks to electric guitars. The steel-wound strings can lead to very sore fingers, and the weighted guitars can lead you with a bit of an aching back. 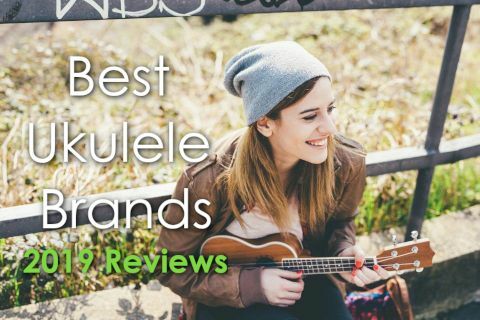 Similar to the guitar, but a great deal more portable, the ukulele has encountered something of a renaissance in the past couple of decades. Popularized by new folk bands and ukulele aficionados, ukulele companies are selling their wares as fast as they can make them. It is a fantastic party instrument, without ostentation, easily transported and easy to pick up and play. It is not, for the most part, a great stage instrument. Though there are bands who have used ukuleles on stage, it doesn’t have the rock and roll image you find with guitars and drums. It is, however, fairly easy to learn. Though it has only four strings, the tuning of the ukulele is a little more complex than that of the guitar and can take some getting used to. But once you’ve got the idea of how it works it can be a lot of fun to play. The Trumpet has a long and illustrious history of being at the center of music. Earliest forms of the trumpet are thought to date back to at least 1500 BC. The modern western trumpet has been used in both classical music and jazz to great effect and holds a significant place in western canonical music. 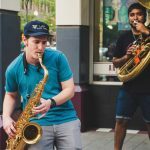 Though the playing of the trumpet requires a lot of physical stamina, once trained how to regulate the breath and keys appropriately, it has shown itself as a great way of innovating. 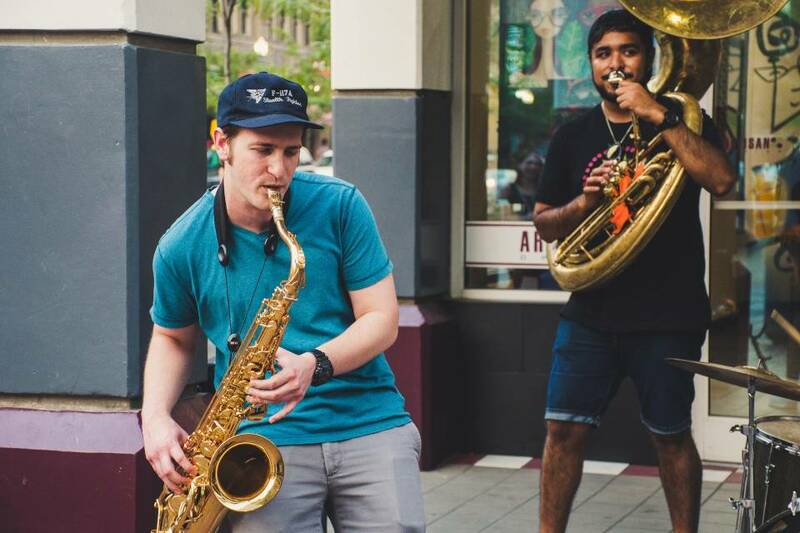 There’s a lot of fun in playing trumpet, but it does also require a lot of guidance, and it’s not recommended to be self-taught. For nearly five hundred years, the violin has been at the center of composition and development of music. 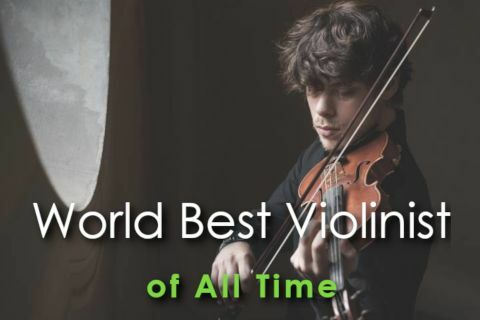 From the folk players fiddle to the Stradivarius-wielding virtuosos of legend, all the way to the atonal stings of heard across iconic film soundtracks, it is virtually impossible to avoid the beautiful sound of the violin. Unlike other instruments, the violin really should be learned in a controlled environment. It is important to acquire a good, solid, purpose-built learner violin rather than cheaper brands. A violin is really only as good as its ability to maintain its tuning. Therefore, it is worth picking your instrument carefully. Once you’ve got a decent violin, you should invest in lessons. The violin has very little to guide the first time user in how to use its fretboard, and without appropriate tuition, the bow can end up sounding truly awful. However, once mastered the violin is an absolute joy to learn. As the violin’s larger cousin, the Cello is one of the most soulful and melancholic instrument heard in music. 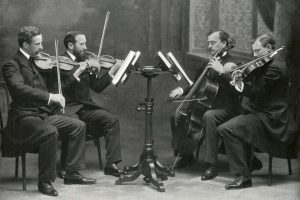 Often paired with Violins and Violas to create trios or quartets, it can also be used as a solo instrument. It has been popularized by composers such as Bach, Elgar, and Tchaikovsky. During the twentieth century, it was brought to the public consciousness by the great players such as Jacqueline Du Pre and Yo-yo Ma. Like the Violin, to learn the Cello requires determination and a good teacher to ensure your bow and fret well. Without at least a little tuition, the investment made on buying a cello can go to waste. 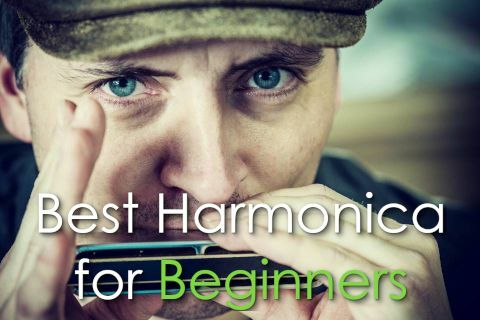 The humble Harmonica is a fantastic instrument for beginning musicians. So popular and usable is it that even kids toy manufacturers have long produced kid specific instruments. First produced en masse in the nineteenth century, the twentieth century saw its use in music grow exponentially. It is not a greatly difficult instrument to learn – it literally requires just the ability to regulate breathing. In fact, part of its charm is the ability to improvise easily on it. However, if one is to become a professional harmonica player, it is worth splashing out on a few different harmonicas so that you can play in a greater range of keys. Learning the harmonica is not a difficult task, and in fact, it is quite rare to find harmonica classes, which means it is widely a self-taught instrument. With access to the internet, though, it is easy to pick up tips and tutorials. Certainly, the cheapest (it’s free) and easiest of instruments you can learn is – your own voice! Yes, it’s true that actually, your singing voice works in much the same way as other instruments. It can be used percussively, (beatboxing), in harmony (as part of choir or group), or melodically. In fact, it has many of the same qualities of other instruments, utilizing air manipulation and vibration. Many believe that a good singing voice is something intuitive, that people simply have a gift for singing, but in reality, a lot of the best singers have had training. There’s a lot that goes into a good singing voice. Understanding how your body resonates, the cavities that are used in projection as well as excellent breathe control. A lot of these things can be learned with a singing teacher, and if you want to progress beyond pop singing you can progress to classical styles. 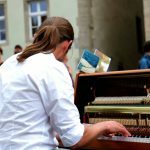 Every musician should learn some rudimentary singing techniques, or at least practice holding a tune. 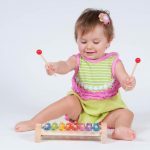 Not only will it help with learning other instruments but also foster performing confidence in the beginning musician. Behind singing, percussion is likely to be the oldest form of music. The term covers a vast array of instruments, including hand clapping. 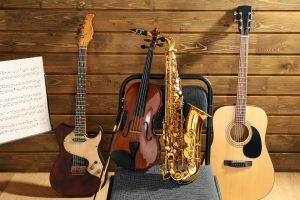 Practically anything can be used to create a percussive sound, including stringed instruments and pianos, and some musicians have used these to great effect. School music departments and religious buildings are often decked out with cymbals, drums, or other purpose-built percussion instruments, which also included toned instruments such as xylophones and glockenspiels. Of all the percussion instruments, the drum kit has become the most popular in the twentieth century. They can be made up of a huge array of different drums and cymbals, and these days often include digital modules in professional setups, giving them a range of sounds only dreamed of previously. Learning percussion can be relatively simple to start off with, but can require some detailed mathematical understanding at more advanced levels. No list of the best instruments for beginners can be complete without making a reference to the keyboard. Evolved over a thousand years and popularized by the harpsichord and the piano, keyboard instruments remain at the center of songwriting and composition. During the eighteenth and nineteenth centuries, any great house would have a piano or harpsichord. This resulted in a massive upsurge in composition. The late eighteenth century and early nineteenth century saw the emergence of the world’s best-known composers, such as Beethoven, Bach, and Mozart, whose main compositional tools were their harpsichords. The keyboard remains an important part of the music, central to digital composition, including that of pop, rap, and dance music. Pianos, especially, can be very expensive. Ultimately, when picking a instrument to learn on, you should pick whichever suits your personally. Think about the sound you like, but also the physicality of the instrument. Drums, for instance, require a great deal of co-ordination, and trumpets require a good deal of breath control. But also remember that learning instruments can be addictive. Many who start off playing guitar for instance, may graduate to violin or piano. Whatever you start off with, the key is to enjoy it, and play every day.